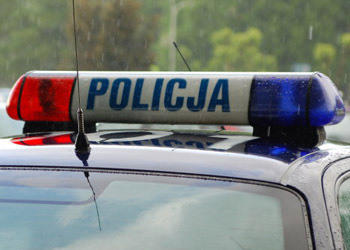 The body of a young woman was recovered from Zakrzówek lake yesterday evening, according to Krakow police. Gazeta Wyborcza Kraków reports that police suspect the body may be that of 25-year-old Agnieszka Miedziak, who disappeared on June 28. Members of Agnieszka’s family are to be asked to view the body today. The last confirmed sighting of Agnieszka Miedziak is CCTV footage of her leaving her apartment block in Ruczaj at 20:50 on the evening of June 28. She was due to meet her boyfriend in the Rynek Główny at about 20:20, but never arrived. Krakow residents will be aware of the massive fly-poster campaign around the city asking the public for information. According to reports, the body in the lake was spotted by a passerby. An initial examination did not reveal signs of violence, but the police stress that the results of an autopsy have not yet been released. UPDATE: The body was positively identified by family members on Wednesday as that of Agnieszka Miedziak. Clothing and an identity card found on the body also support this conclusion, but a DNA test has not yet been carried out.